I was fortunate to have the Voyages exhibition at at the Science Museum to myself for half an hour at the end of Thursday. 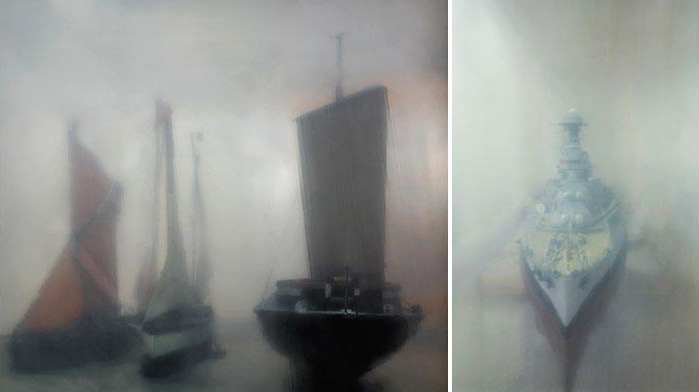 The stunning photographs by Anderson & Low’s of recently conserved ship models from the museum’s collection are ethereal. The photographs are beautifully displayed with a real minimalistic. I’d happily have five or six of them on my wall at home sadly the only merchandise is a coffee table book of the pictures. Funnily I used to go to that gallery for some respite on a busy day and now it has the added bonus of air conditioning. On until 30th July and I’d recommend it if you’re in the area.